“Then Herod secretly called the magi, and ascertained from them the time the star appeared. The worshipers were not tricked, however. Those of you who are familiar with this story know how it ends. This entire story was forseen some 600 years before by the prophet Jeremiah. This is noted immediately after the story in Matthew (Matt. 2: 17-18). The attempt to discredit or counterfeit the Word of God has continued. Everyone knows that the closer a counterfeit is to the real McCoy, the better chance it has to deceive. Counterfeit money is a good example. The more it looks like the real thing, the more dangerous it is. The more it looks like the real thing, the easier it is to fool people. I am not the only one noticing the continual assault on Biblical truth. Many defenders of simple truths, recognized by Christians for centuries, are trying to alert others about the current battering. Amazingly, many well-meaning Christians are so unfamiliar with the Bible today that they don’t recognize a counterfeit. I have posted the article by Dr. Morris below because I have recently stumbled across a church denomination that claims to be Christian but denies the Biblical view of God. The churches in the denomination take many names. In General, they are called “Oneness Pentecostals” and you can see their denominational names and colleges by going to the pdf below. I haven’t spent much time in Pentecostal churches, but I think most believe in fundamental truths, unlike the “Oneness” churches. some ministers in the Assemblies of God (AOG) denomination. formed their own alliances to promote their doctrines. I have noted this because two Assembly of God pastors in town are very active in the Watchmen of Garland County. They DO NOT believe in these false doctrines. This statement means that the Holy Spirit is not God, but that it is the Spirit of God (Huh?). It means that the Holy Ghost is the Spirit of the resurrected Christ but it is not God (Huh? again). If you are familiar with the Bible, you understand that this is not the same God that we read of in the scriptures. The Trinity is a fundamental, key doctrine in Christianity. check out this excellent You Tube post by Ben Stanhope. He is answering someone who has made assertions that God is not Triune. The post is called “Where Did the Trinity Come From?” The almost 7 minute post is very good. I must note at least three Bible verses that show that the Holy Spirit is God. The first two identify the Trinity, and the third states that the Spirit is God. The following, timely article, was written by the son of the late Dr. Henry Morris. I have great respect for both the father and the son. Dr. Henry Morris wrote “The Genesis Flood” and “The Revelation Record.” Both men are well known defenders of the Christian faith and the teachings found in the Bible. For those who live in Hot Springs, I could only find one church locally that is connected to the “Oneness” churches. The headline of this article is important. It comes from the word of God. The only way to know the difference between the truth and error is to study your Bible. In chapter one of his first epistle to Timothy, Paul warned about false teachers and heresies in the church of his day, evidently particularly implicating the agnostics and their false skepticism and low moral standards. In our text for today and throughout chapter four, he warns of false teachers “in the latter times,” i.e., in our day and in our churches. Paul had received an explicit (i.e., “express”) teaching from the Holy Spirit. There was nothing vague about it. The false teachers would, among other things, be “forbidding to marry, and commanding to abstain from meats” (v. 3), with other false teachings implied throughout the chapter. What does this teach us about those who today forbid their leaders, both men and women, to marry? Or those who insist upon certain dietary regimes for spiritual reasons? 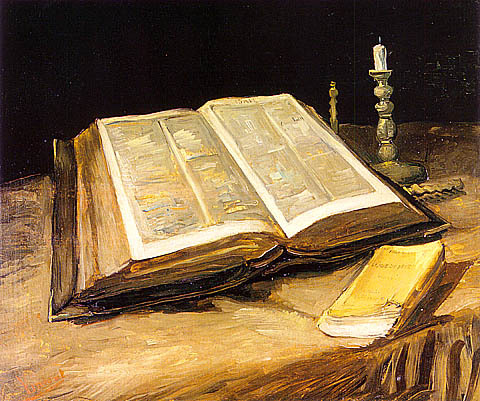 These “doctrines” will cause some to “depart from the faith.” Evidently, some who consider themselves Christians and yet have incomplete discernment, will fall into the trap of “seducing spirits,” espousing the “doctrines of devils.” The Greek word translated “depart” is apostesontai, which means “to fall away” from an original position, in this case, “the faith.” The teachers will typically be hypocrites, “speaking lies,” having “their conscience seared” (v. 2). “If any man preach any other gospel unto you than that ye have received, let him be accursed” (Galatians 1:9). doctrines cannot be regarded as authentically Christian. Here is a devotional by Charles Spurgeon that discusses the Triune God. Mr. Spurgeon, it could be argued, was a good a Biblical scholar as any. Mark the union of the three Divine Persons in all their gracious acts. How unwisely do those believers talk who make preferences in the Persons of the Trinity; who think of Jesus as if he were the embodiment of everything lovely and gracious, while the Father they regard as severely just, but destitute of kindness. Equally wrong are those who magnify the decree of the Father, and the atonement of the Son, so as to depreciate the work of the Spirit. In deeds of grace none of the Persons of the Trinity act apart from the rest. They are as united in their deeds as in their essence. In their love towards the chosen they are one, and in the actions which flow from that great central source they are still undivided. Specially notice this in the matter of sanctification. While we may without mistake speak of sanctification as the work of the Spirit, yet we must take heed that we do not view it as if the Father and the Son had no part therein. It is correct to speak of sanctification as the work of the Father, of the Son, and of the Spirit. Still doth Jehovah say, “Let us make man in our own image after our likeness”, and thus we are “his workmanship, created in Christ Jesus unto good works, which God hath before ordained that we should walk in them.” See the value which God sets upon real holiness, since the three Persons in the Trinity are represented as co-working to produce a Church without “spot, or wrinkle, or any such thing.” And you, believer, as the follower of Christ, must also set a high value on holiness—upon purity of life and godliness of conversation. Value the blood of Christ as the foundation of your hope, but never speak disparagingly of the work of the Spirit which is your meetness for the inheritance of the saints in light. This day let us so live as to manifest the work of the Triune God in us. This entry was posted on Saturday, June 12th, 2010 at 5:39 PM and is filed under Bible Prophecy, Commentary, Helps. You can follow any responses to this entry through the RSS 2.0 feed. You can leave a response, or trackback from your own site.